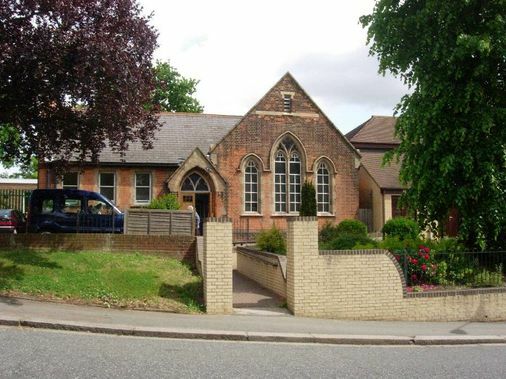 Our premises are available for hire to community and worship groups. The premises are well used, but it is always worth enquiring. At Red Post Hill, we have a medium-sized hall (shown above), two other rooms, and the main worship area. There are kitchen facilities, disabled access and toilet, and parking spaces. 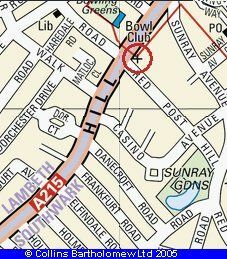 The full postal address is Red Post Hill, SE24 9PW, shown to the left. Enquiries regarding availability and price to the church office on 020 7738 7434 or email office@hhuc.co.uk. We also have premises at 155 Half Moon Lane, near the corner of Beckwith Road. There is a large hall, another smaller area, a kitchen and an upstairs room. 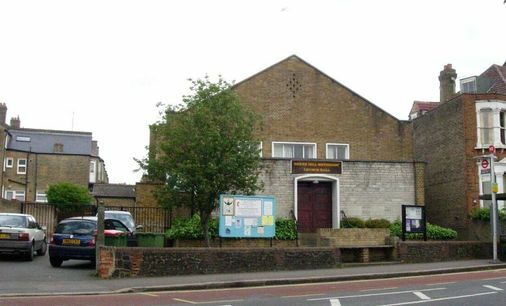 The large hall has disabled access and a disabled toilet. The full postal address is SE24 9HU. Enquiries concerning availability and price for these premises to Alastair Hanton, 020 8693 2618.